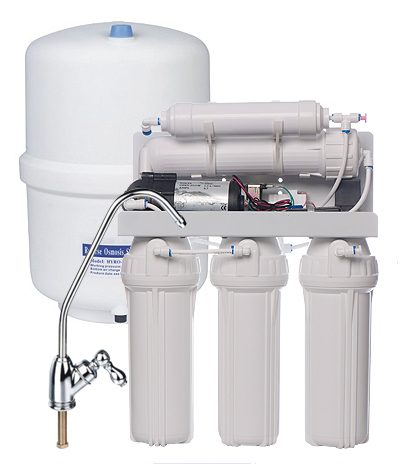 Self-cleaning 50 micron sediment filter with 1” inlets and manometers. The HYDRA M filters have been designed with efficiency in mind, providing an innovative solution for self cleaning cartridge systems, thanks to Atlas Filtri’s new back-wash counter-current design which provides the highest possible particle removal from the cartridge. When the cartridge needs to be cleaned, the cleaning operation with back-wash is simply operated by opening the discharge ball valve at the filter bottom. That operation causes a pressure-drop which pushes the cartridge downward into the housing and reverses the water flow from the outer to the inner side of the cartridge. 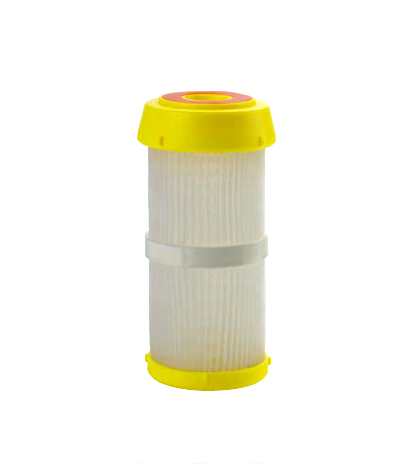 It is that counter-current back flow which washes sediment and other suspended particles that have been trapped on the outside of the filter cartridge, away through the discharge valve. 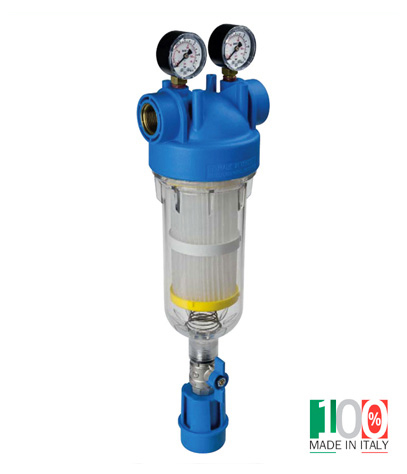 HYDRA M self-cleaning filters are designed with 2 manometers which ensure the proper timing for the cleaning operation: when the pressure at outlet manometer drops 1 BAR below the pressure at inlet manometer it is time to perform the cleaning operation. 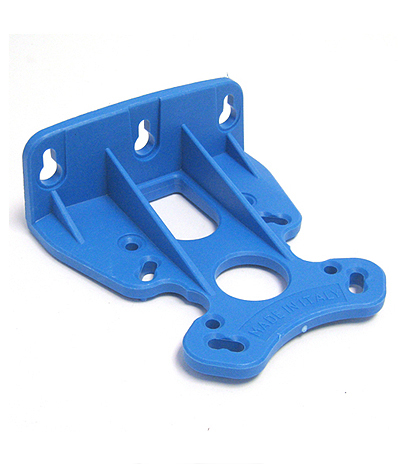 Includes filter, bracket, screws and spanner. SKU: WHU087. 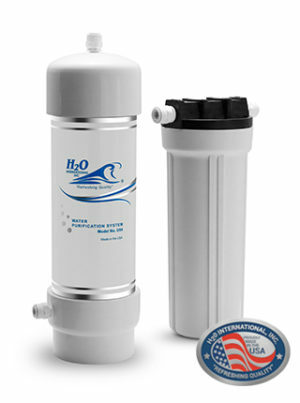 Category: Water Purifiers and Filters, Water Filter Housings and Accessories.